The Nexus studio server is an all-in-one unit to be operated in the Production Gallery. Using the 20 inch touch screen monitor, the Director or the Assistant Director has maximum control over the production. 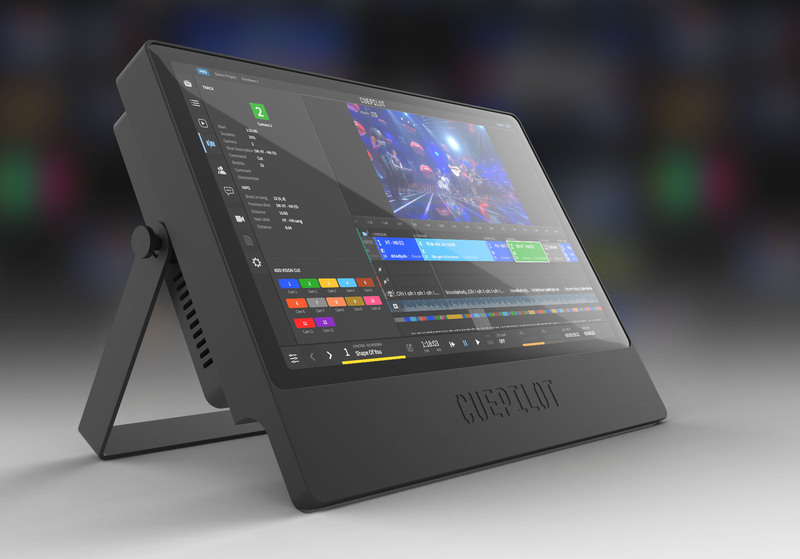 The user interface is similar to the desktop version, but with additional features to manage timecode, control the vision switcher, and operate the built-in GPI triggers. Serial RS-422, to control vision switchers supporting GVG or Sony protocols. 4 x GPI triggers, can trigger pyro, lights, special cams, vision switchers, etc. HD-SDI Video Out, for distributing CuePilot main screen signal. LAN Network, to syncronise data with CueApp in the studio, and with the CuePilot Cloud Server. The Nexus studio server can be rented on daily basis, or by long term leasing agreement. Please contact us for detalis and pricing.